Kann die gesetzliche Unfallversicherung eine Verbesserung der Versorgung von Opfern von Gewalttaten, insbesondere nach Amok und Terror, leisten? Traumanachsorge im Westjordanland: Ist der westlich geprägte Traumadiskurs interkulturell übertragbar? This text narrates a phenomenon that today tends to generally connote suddenness and disintegration. The story begins in Southeast Asia and is a fixed component of several small, honor-centered and rigidly hierarchical feudal societies. In this time and region, running amok is deeply anchored in the culture, with a sophisticated and nuanced rationality of process, justification, occasion and effect. This complex, bereft of its sociocultural context, was imported in a massive first wave at the beginning of the twentieth century by new media such as the illustrated travel report, the newspaper and the film as a cipher for unbridled rage and zeal. New forms of running amok in the United States and Europe rapidly became the subject of psychiatric research and the popular culture of the culture industry. 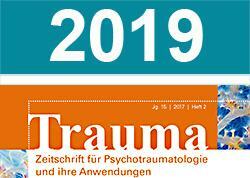 The existing networks of the psychosocial emergency care in Berlin cover the counseling and care after large scale emergencies with a great number of affected persons. The attack at the Berlin Breitscheidplatz at 19th of December 2016 was a huge challenge for the existing networks and showed some holes, which are to be closed now. Therefore it has to be questioned what the network around the “Psychosocial Emergency Team” need to strengthen the network and to assure the offer. Der Abschlussbericht des Beauftragten Kurt Beck für die Opfer und Hinterbliebenen des Terroranschlags auf dem Breitscheidplatz stellt Verbesserungsmöglichkeiten, insbesondere im Bereich der Entschädigung und Versorgung von Opfern und ihrer Hinterbliebenen dar. Dies wurde bereits durch die Politik aufgegriffen. Dieser Aufsatz stellt die Idee vor, ob die gesetzliche Unfallversicherung eine Verbesserung der Opferversorgung leisten kann. Can the statutory accident insurance improve the treatment of victims of acts of violence, especially after amok and terror? In his final report on the victims of the terrorist attack at the Breitscheidplatz and their surviving dependants, the designated investigator Kurt Beck presented possibilities for improvement, in particular in the areas of compensation for and treatment of victims and their surviving dependants. This has already been taken up by politics. This essay presents the idea whether the statutory accident insurance can accomplish improving the treatment of victims. 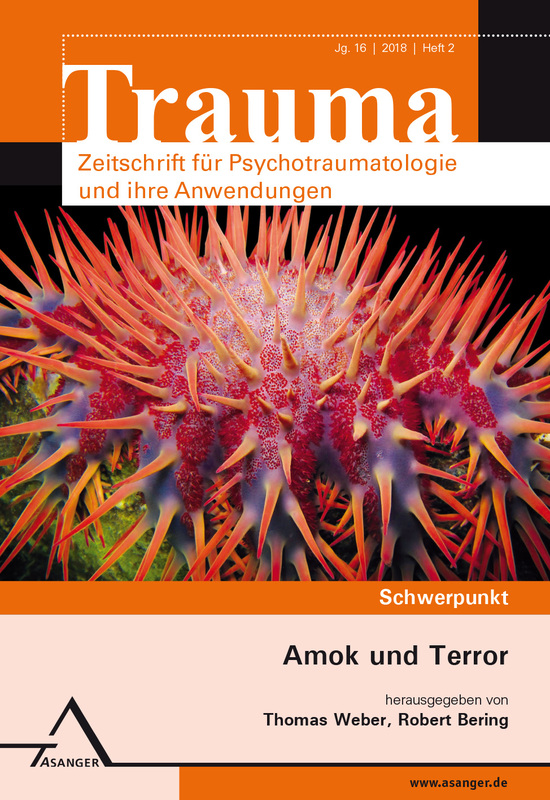 The short and medium-term psycho-social aftercare following amok or terrorist attacks poses a complex task which has to be tailored to the specific local circumstances. The local structures at hand need to be stabilized to a point at which they can carry out the aftercare by themselves, this requires specialized professionals. In case of larger events of damage, a coordination office, which manages and supervises all necessary steps of action, is mandatory. The core principle of aftercare is the restoration of self-regulation and self-efficacy of affected people within their living environment. School shootings are planned offenses by current or former students who are experiencing a long-term psychosocial crisis that is accompanied by crisis symptoms as well as individual and social risk factors. The NETWASS program aims to build effective structures for crisis prevention in schools and supports school staff in identifying, assessing and intervening in students’ psychosocial crises. Funded by the German Ministry of Education and Research the program has been implemented and successfully evaluated in 108 schools in Germany. Since 2002 the Federal Government offers short and long term psycho-social support after severe accidents, catastrophes and attacks abroad via the coordination office for aftercare and support for victims and family members. Among the accumulated cases of the past 15 years there have been 46 terrorist attacks. The analysis of this experience shows several specialties that need to be considered when supporting people affected by terrorist attacks. At the same time the validity of basic principles of crisis management for all cases of complex threats or damage becomes apparent. Das Europäische Projekt Survivors für Betroffene nach Terroranschlägen – „To turn the Victory of our Grief into Peace"
The European Union had to respond to the terrorist attacks in Madrid in 2004 and London in 2005 and implement counter-terrorism strategies. These included the EU funded projects Prevention of long-term psychological consequences for victims of terrorist attacks (PLOT, 2005-2007) and Survivors – Joint response to loss and survival in terrorism (2007-2009). PLOT focused on a risk factor based psychosocial crisis management, Survivors used the experiences of affected and self-help groups established in European countries to improve psychosocial aftercare. The paper describes the so-called victimisation process based on the consequences of terrorist attacks, which focuses on the demands and needs of those affected on the basis of experiences from Great Britain, Italy and Spain. Trauma aftercare in the West Bank: Is the Western-led trauma discourse interculturally transferable? A systematic literature search was performed to investigate how far the Western-led trauma discourse can be applied to the Palestinian culture and low intensity conflict context. Palestinians suffer from col­lective exposure to violence in everyday life instead of individualised traumas like they prevail in the Western countries. According to Palestinian experts an adaptation of the Western-based treatment paradigms is necessary. A psychosocial approach at the community level is recommended that takes indicators like social justice, human rights and security into account.